Supercar performance in a four-door saloon. Now all-wheel drive. 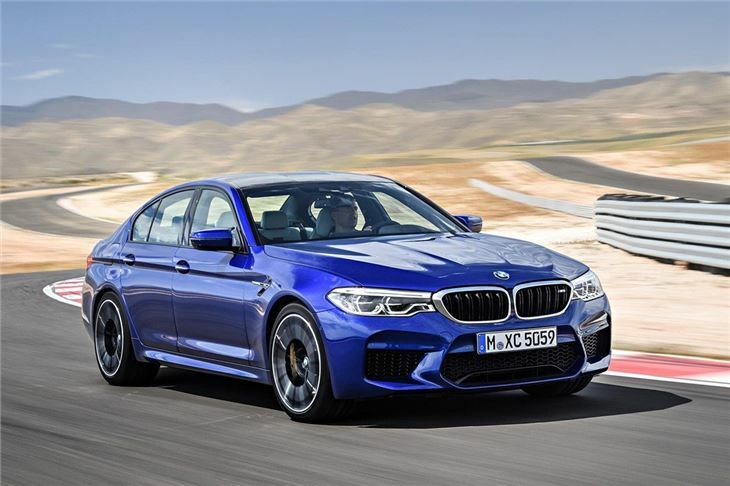 The 2018 BMW M5 super saloon is powered a 600PS twin-turbocharged 4.4-litre V8 and features four-wheel drive as standard. 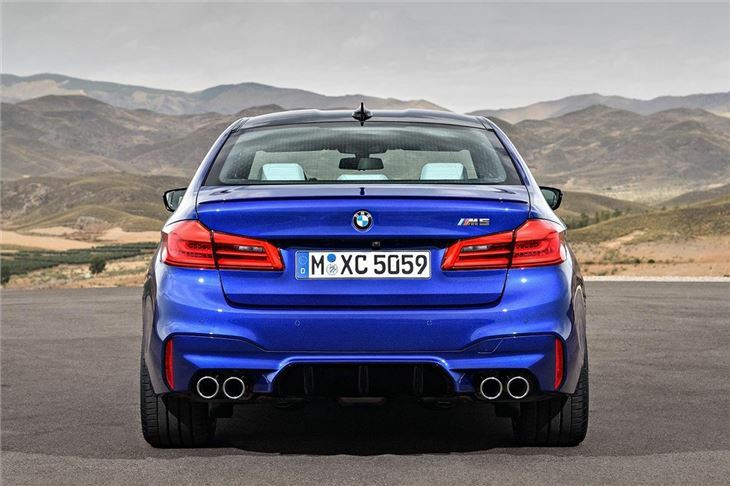 The all-wheel drive system - called M xDrive - has been designed to mimic the handling characteristics of a rear-wheel drive car. This means it should only engage the front wheels when those at the rear have reached their limits. 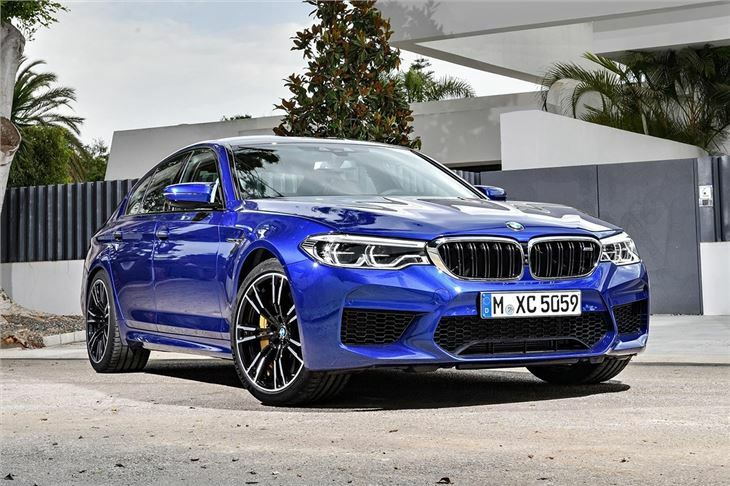 Grip levels should be high, given that the new M5 will feature a new active diff to distribute its 600PS between the rear wheels. 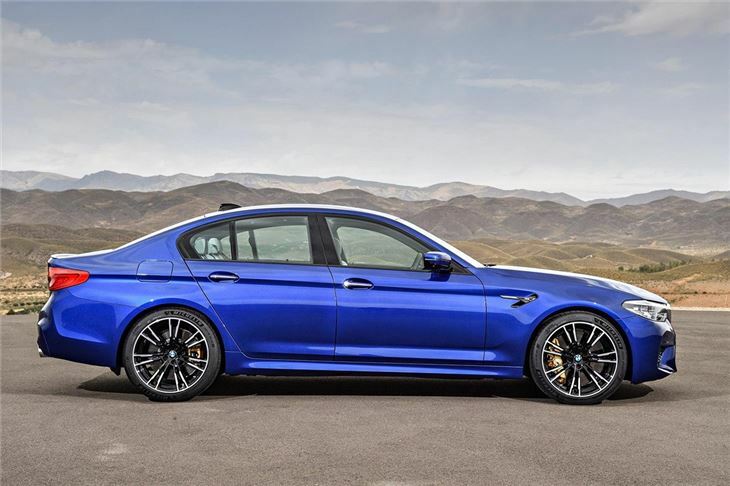 The four-wheel drive system will be fully configurable, which means the drivetrain can be set up to be rear-wheel drive only, which means purists can get the full fat M5 experience on the track for drifting. Zero to 62mph is quoted at just 3.4 seconds, while 0-124mph will take 11.1 seconds. Official fuel economy is expected to be in the mid-20s. 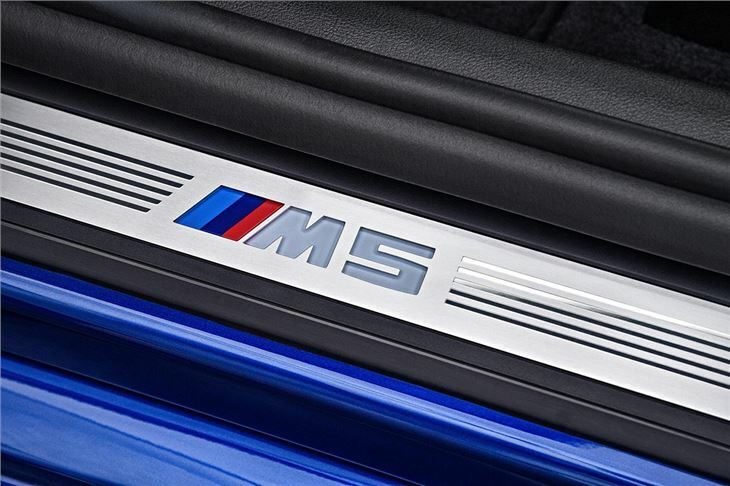 The V8's gargantuan power levels will be fed through a new eight-speed M Steptronic transmission, which will allow automatic shifting in “D” mode and sequential switching in “S” mode. This is possible both with the new short gear selection switch on the centre console as well as via M-shift paddles on the steering wheel. As well as featuring a fully customisable drivetrain, the engine characteristics can be tailored - with Efficient, Sport and Sport Plus - while the suspension can be softened or sharpened to match the driver's mood or track time. The exhaust note is also flap-controlled and noise can also be muted at the touch of a button. Based on the latest 5 Series, the M5 has space for five adults and features 530 litres of boot space with the rear seats in place. 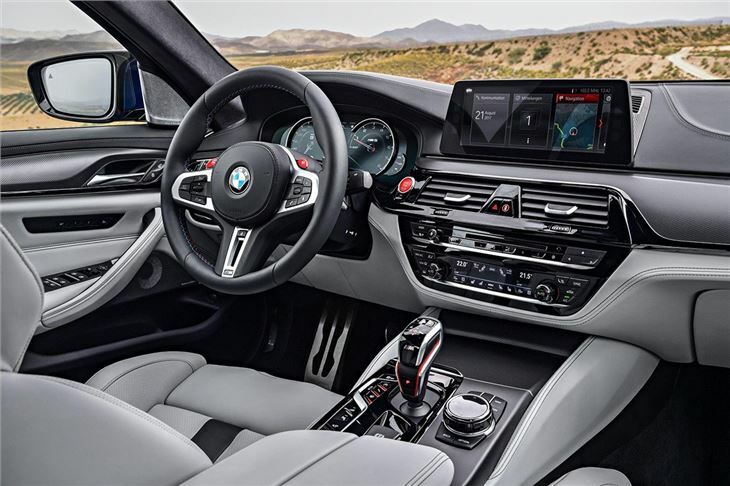 It also includes BMW's latest Professional Multimedia system, with a 10-inch colour screen, navigation, media player and rear-view camera fitted as standard.